Robert C. McChesney, CPA, PFS, CVA, CFE, ABV, CFF has been in public accounting since 1967, and is one of the founding shareholders of McChesney Martin Sagehorn, PC. He has extensive experience in litigation support, business planning, personal financial planning, business valuation, management advisory service, as well as corporate, partnership, and individual taxation. Mr. McChesney holds a Nebraska CPA Certificate, and retains membership with the American Institute of Certified Public Accountants and the Nebraska Society of Certified Public Accountants. He has achieved the following credentials: Personal Financial Specialist, Certified Valuation Analyst, Certified Fraud Examiner, Accredited in Business Valuation, and Certified in Financial Forensics. Among the many civic and professional organizations that he has been involved with, Mr. McChesney has had the privilege of serving on the board of several, including the North Platte Chamber of Commerce, North Platte Ambassadors, Nebraskaland Days, West Central Chapter of CPAs, Western Nebraska Chapter of CPAs, Great Plains Regional Medical Center Foundation, Nebraska chapter of the National Association of Certified Valuation Analysts, and the Nebraska Society of CPAs. He has also served on the state level, as a member of the Nebraska State Board of Public Accountancy for eight years. Mr. McChesney has published articles on valuations, litigation, sales tax audits, and child support guidelines. 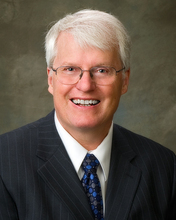 In 2010, he was awarded “Distinguished Service to the Profession” by the Nebraska Society of CPAs, and was also the recipient of the “Being a Difference Award” in 2013, presented by the National Association of State Boards of Accountancy, for exceptional contributions to ethical leadership and community input. Mr. Waltemath holds a Nebraska CPA Certificate, and retains membership with the American Institute of Certified Public Accountants, the Nebraska Society of Certified Public Accountants, and is also a fellow member of the Colorado Society of Certified Public Accountants. Among the various civic and professional organizations that he participates in, he is a member and past president of the area Development Corporation, board member and past president of the Mid-Plains Community Foundation, currently a member of the Nebraska State Board of Public Accountancy, the North Platte Rotary Club where he has served as treasurer as well as Rotary District Treasurer. 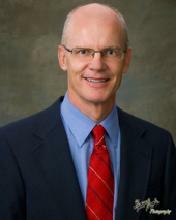 He is a member of the First Baptist Church of North Platte and has served as treasurer of the Church for over 30 years. Susan W. Maline, CPA, has been in public accounting since 1995. Prior to entering public accounting, Ms. Maline worked in private accounting and internal auditing in the savings and loan and mortgage banking industries for 20 years. She has experience in corporate, partnership and individual taxation, as well as non-profit accounting. 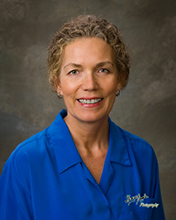 Ms. Maline is a Member of American Institute of Certified Public Accountants and the Nebraska Society of Certified Public Accountants, and a past member of the Institute of Internal Auditors. She has been involved with Financial Women International, has served on the board of the Financial Managers Society, and is a QuickBooks ProAdvisor. Derrol W. Nitz, CPA, PFS is a shareholder for McChesney Martin Sagehorn, P.C. His services are provided in the North Platte office. Mr. Nitz graduated from the University of Nebraska, Lincoln, with a B.S. in Business Administration and has been in public accounting since 1977. 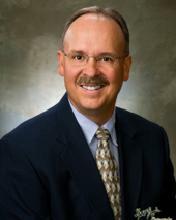 He became a Nebraska Certified Public Accountant in 1983 and a Personal Financial Specialist in 2010. He has worked extensively in the areas of pension and profit sharing plans, forecasts, financial statements, and corporate, partnership, fiduciary and individual taxation. Derrol Nitz is a member of both the American Institute of Certified Public Accountants and the Nebraska Society of Certified Public Accountants. He frequently participates in church activities in his free time. Brian Commins, CPA joined McChesney Martin Sagehorn, P.C. in 1991, with whom he is a current shareholder. He practices in both the Ogallala and Imperial offices. Mr. Commins graduated from Doane College in Crete, Nebraska with a B.A. in Business. He has been a public accountant since 1986 and acquired his CPA license in 1988. He has extensive experience in individual, corporate, partnership, and farm and ranch taxation. Mr. Commins holds a Nebraska and Colorado CPA certificate, and retains membership with the American Institute of Certified Public Accountants, the Nebraska Society of Certified Public Accountants, and the Colorado Society of Certified Public Accountants. Civic and professional organizations include his involvement as an active member of Rotary International and St. Paul's Lutheran Church in Ogallala. Albert J. Faesser, CPA practices in the Ogallala office, and is one of the founding shareholders of McChesney Martin Sagehorn, P.C. He graduated from the National College of Business in Rapid City, SD with a B.S. in Accounting. He has extensive experience in compilation and review services, accounting systems consulting, business planning, and corporate, partnership, and individual taxation. 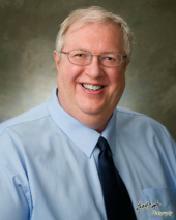 Mr. Faesser has been in public accounting since 1982 and holds a Nebraska CPA Certificate. He is a member of the American Institute of Certified Public Accountants and the Nebraska Society of Certified Public Accountants. Mr. Faesser has had the privilege of being a member and former president of the Lions Club. He is the financial secretary and former Grand Knight of the Knights of Columbus. He is also a member of the City of Ogallala Police and Fireman Retirement Board, and a previous board member of the Goodall City Library. 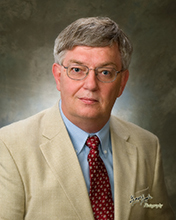 Robert R. Speer, CPA has been in public accounting since 2003. He is experienced in individual, small business, and farm taxation, as well as business planning and financial statement compilations and reviews. He is also a QuickBooks ProAdvisor. His services are provided in the Lexington office. Mr. Speer graduated from the University of Nebraska in Kearney with a Bachelor of Science, where he majored in Accounting and minored in Computer Science. He continued his studies with UNK and achieved his Master's in Business Administration with a concentration in Accounting in 2008. He now holds a Nebraska CPA certificate and is a member of both the Nebraska Society of Certified Public Accountants and the American Institute of Certified Public Accountants. Among the professional organizations he is involved with, Mr. Speer is a board member and treasurer of the Lions Club, a member of the Knights of Columbus and a member of St. Ann's Catholic Church. Amanda Vlasin, CPA joined McChesney Martin Sagehorn, P.C., in 2008. She practices in the Imperial office, and specializes in corporate, partnership, and individual taxation, as well as payroll preparation and compilations. Ms. Vlasin graduated from Midland Lutheran College in Fremont, NE (now Midland University) in 2008 with a B.S. in Business Administration with an emphasis in Accounting. She received her Nebraska CPA license in 2014 and is a member of the American Institute of Certified Public Accountants and the Nebraska Society of Certified Public Accountants.